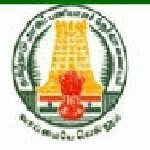 TRB Assistant Professor recruitment 2016-17 notification apply for 192 posts : Teachers Recruitment board (TRB), Government of Tamil Nadu welcomes application for the position of 192 Assistant professor in engineering colleges vacancies on direct recruitment basis. Candidates who completed their BE, B.Tech., ME, M.Tech is a good opportunity.The individuals who are the occupation seekers searching for govt employments in Tamil Nadu this is the best chance to apply. Competitors read the official notification then read all the guidelines and miners precisely then apply before the last date online application got. All the interested and eligible candidates can apply before 7th September 2016. Educational Qualification for the Job: BE, B.Tech., ME, M.Tech. Candidates Age Limit: The age of the candidate should not be over 57 years as on 31st July 2016. Academic Qualification Details: Candidates should have BE or B.Tech and ME or M.Tech in the relevant branch of engineering or technology with first class or its equivalent either in BE or B. Tech / ME or M.Tech or master degree in the relevant subject with good academic record with not less than 55% of marks or an equivalent cumulative grade point average (CGPA) from an Indian university or an equivalent degree from a foreign university and pass in the national eligibility test (NET) for Lecturer conducted by the UGC council for Scientific and Industrial research. Address and Details of Application form availability: Application form along with prospection can be purchased in person from the office of the chief educational officers of all 32 districts in Tamil Nadu on payment of Rs 100/- from 17th August 2016 to 7th September 2016. Details of Fee particulars: All the interested and eligible candidates are need to pay the examination fee Rs 600/- and Rs 300/- for SC / ST and differently abled in any branch of state bank of India / Indian overseas bank using only the prescribed Challan attached with the prospectus. Process of applying for the job: Candidates may apply in prescribed format and send to the Office of the Chief educational officer concerned district on or before 30th July 2016 and obtain acknowledgement for the same. Important Dates: All the interested and eligible candidates can apply before 7th September 2016.